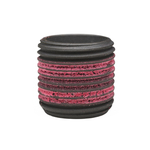 • Seals against Liquids/Gases: solid threaded inserts are pressurized up to 6,000 psi. 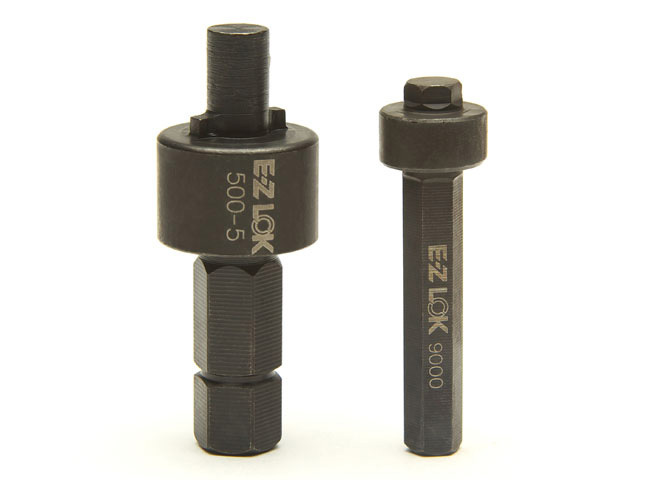 • Turn in the E-Z LOK™ (Solid Wall) insert like an ordinary fastener with a screwdriver, bolt and jam nut, or an E-Z LOK™ drive tool. Ideal for repairing or reinforcing threaded holes in aluminum, magnesium, cast iron, and other soft metal materials. Screw machined out of solid steel for strength and durability, these threaded inserts are self-locking and easy to install, with no special tools required. Available in a wide range standard thread sizes to meet your needs. 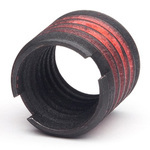 Ideal for applications where hole size is an issue, our thin wall solid threaded inserts offer all the advantages of our standard inserts with a smaller overall diameter. Available in range of standard internal thread sizes from #10 to ½ and M4 to M12, they use a modified external thread to reduce the hole diameter needed to achieve the desired internal thread size. No special tools are needed for installation. Ideal for reducing the size of tapped holes after drilling and re-tapping operations. Machined from solid steel for added strength, they are vibration resistant and can seal against liquids and gases up to 6,000 psi. Available in a range of standard thread sizes. Easy to install, with no special tools needed. Feature specialized thread locking adhesive on both internal and external threads for extra-secure installation. 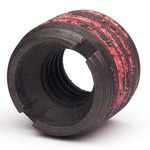 Machined from solid steel, these durable threaded inserts can seal against liquids and gases up to 6,000 psi. They are easy to install and require no special tools. 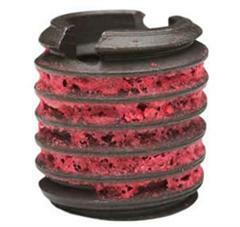 Designed for spark plug repair applications, our solid threaded inserts are built with solid wall construction for greater strength. These easy-to-install, self-locking threaded inserts are available with internal thread sizes from M10 to M18 in a variety of lengths.